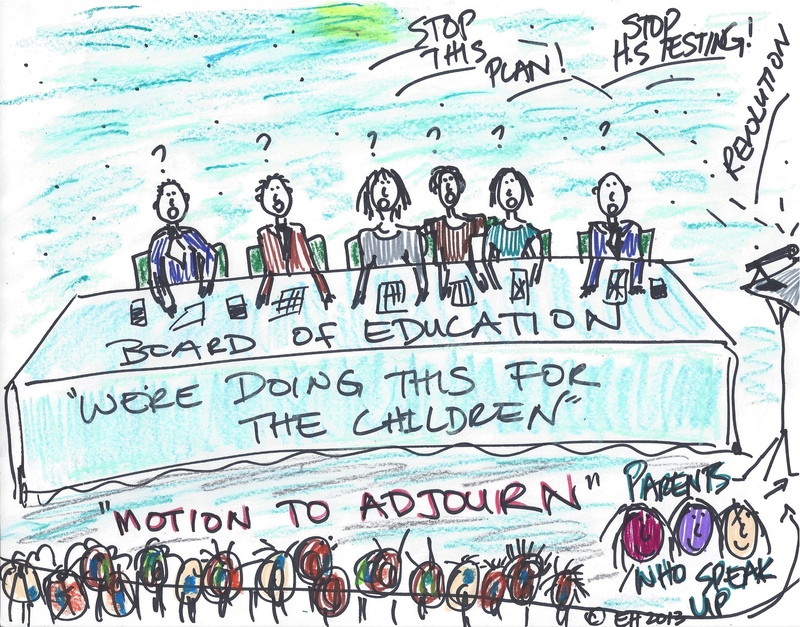 Made in June 2013 after a BOE meeting in which parents, students, and community spoke up against the Strategic Plan and high stakes testing. The BOE voted to approve the plan. and community members are becoming aware of the destructive policies being implemented by the NJDOE, Superintendent, and BOE. Friends, people are experiencing the damage and harm it is causing our students, teachers, and schools in general. Lost learning time is only one of many things sacrificed to test prep for PARCC. There was a terrific turn out, especially for a cold, rainy Monday night. One after another, passionate, caring, knowledgeable, thoughtful community members stood up to publicly call on our Superintendent and BOE to pay attention, to listen, and to hear the community’s dissatisfaction with the status quo. One by one, speakers took to the mic to express outrage, concerns, make statements, and ask questions. This is our town, our school district, and we will continue to stand up and speak out for OUR children. 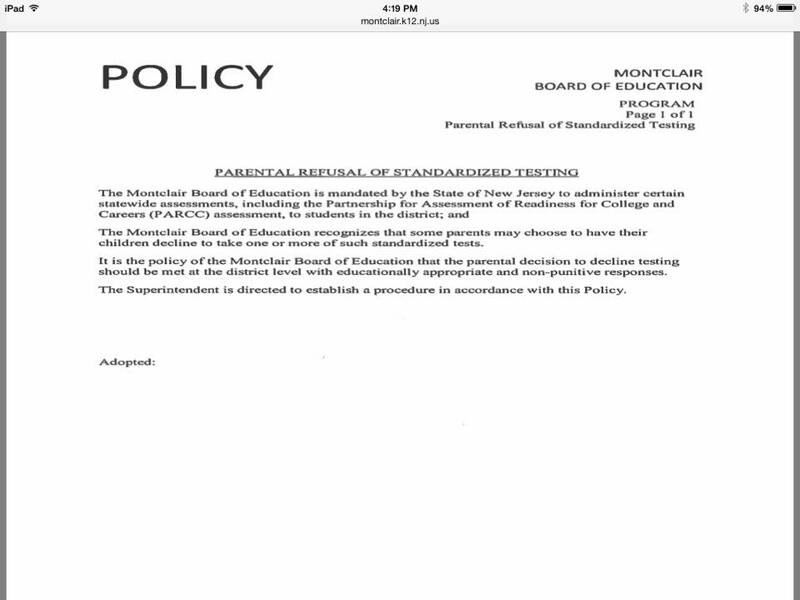 thank district parent and blogger, Sarah Tepper Blaine from parentingthecore for sharing her comments made at the BOE meeting last night (11/17/14) on our Facebook page and we’re happy to share them here as well. Please read her post and share it with friends, neighbors, and fellow parents. For anyone else who was in attendance last night, please keep your statements coming in to us here at montclairvoices@gmail.com. We want to post more comments so more people can read and find out what’s going on in our district!